For the first post-launch convention, War Ender will be making an appearance at MOGameCon! Stop by the booth and try out War Ender live. The developer will of course be there as well to chat to. Hope to see you there! War Ender's Original Soundtrack has been released on Bandcamp a day ahead of the game's release. Check it out here! All tracks in the OST are heard in-game. So consider this a sample of what's to come! Listen at home, in the car, or at work...anywhere you wish! And get ready to explain to others why your head is bobbing. Check out War Ender's new Indie DB page! It can be found here. It took an unreal amount of time and effort, but War Ender can now be seen on Steam! Head on over and check out the new Steam page. Wishlist the game to know the exact moment that War Ender becomes available for purchase. Share with your friends, co workers, strangers...the entire world! Steam page can be seen here. At long last, War Ender has finally graced the Itch.io platform with its presence. Head on over, give it a follow, and check out the most up to date version of War Ender yet. The Itch.io page can be found here. The developer may not like Facebook, but he's no fool. He recognizes the need to have one for War Ender. As a result, a Facebook page has been created for War Ender. Head on over and give it a like! Once again, War Ender is coming to the Saint Louis Science Center on March 2nd from 6 - 9 PM CST. On Lower Level-LL you can try out the game live, as well as chat with the developer. If you're in the area, stop on by! War Ender is returning to the Saint Louis Science Center on February 2nd from 6 - 9 PM CST. Come by FIRST FLOOR-1 to playtest the game for yourself and meet the developer if you feel so inclined. Look forward to seeing you there! Going to be in the Saint Louis area on December 1st? Take time to visit the Saint Louis Science Center, 6 - 9 PM CST, where you can try out War Ender live and even meet the developer if you'd like. We'll be in GROW-1 along with some other pretty cool chaps. Hope to see you there! Click here to download the game off of its itch.io page. October 18th, 2017 marks the date that the first public demo for War Ender was made available to all the internet! Head on over to the demo page to download and try out what Gamer Grace called "Best of Show." Got any feedback? Use the contact page to make your thoughts heard to the developer. war ender will be at gamer grace! 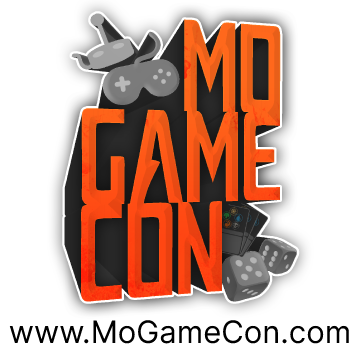 To learn more about Gamer Grace Convention, head on over to their website here!